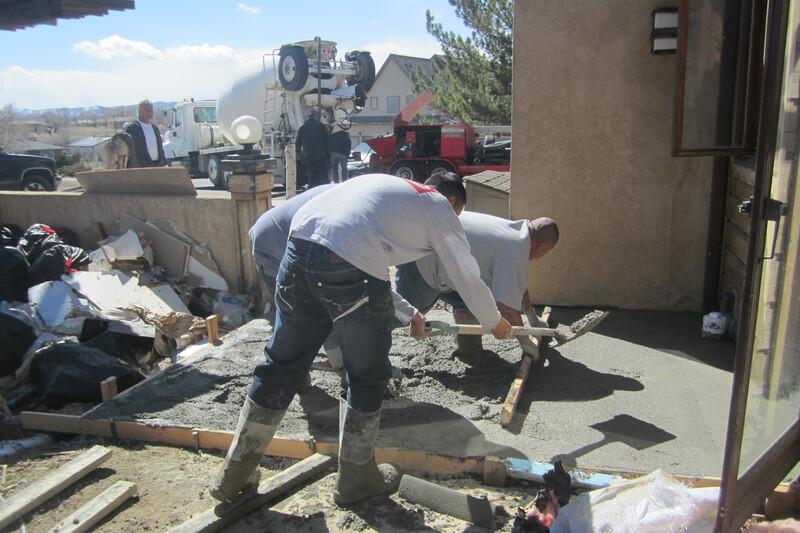 The concrete was poured on March 18th after six months of work by Alberto’s crew to remove the old concrete and dig out for the waffle boxes. 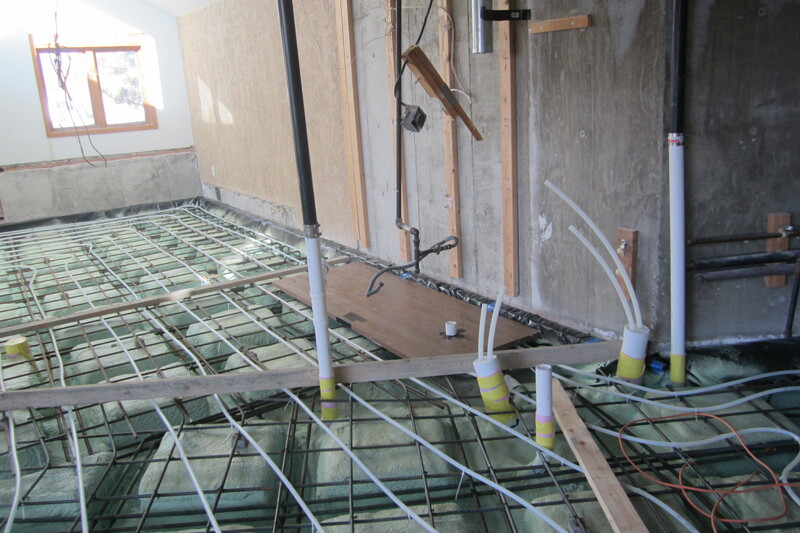 Then the installation of the vapor barrier and the boxes, the insulation, the rebar and the chairs to suspend it, then laying and zip tying the radiant pipe. 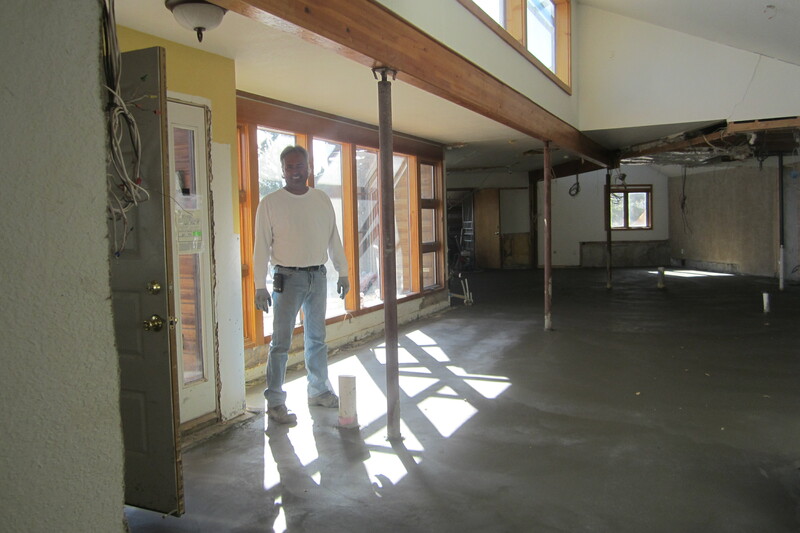 Started the floor prep in October and finally poured on a beautiful day in March. 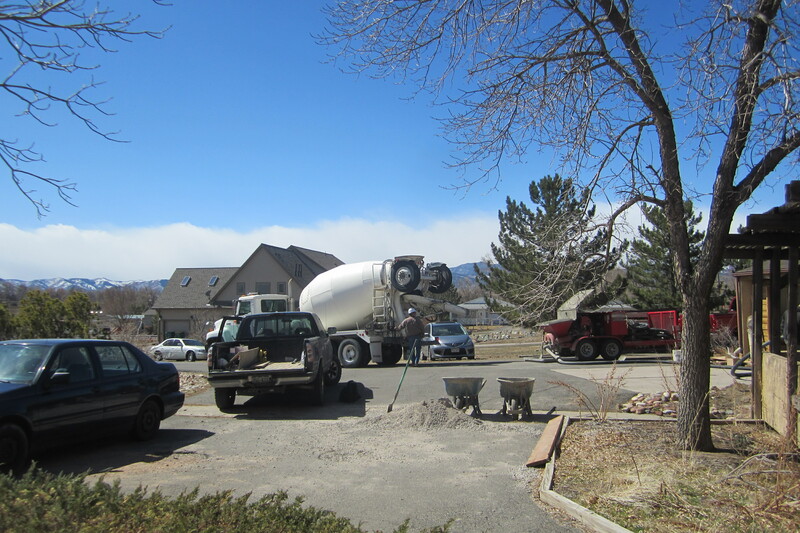 Thanks to Mile High Contracting and Alberto’s concrete crews! 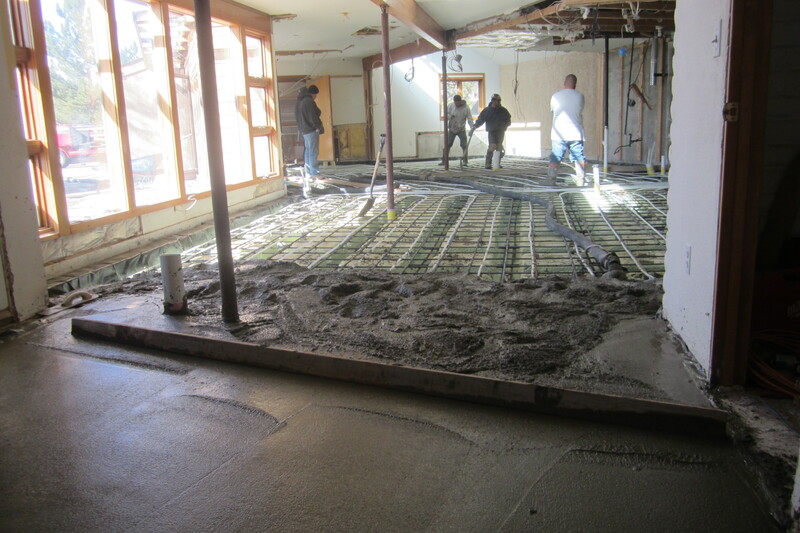 The concrete was a soupy mix in order to be pumped into the house. 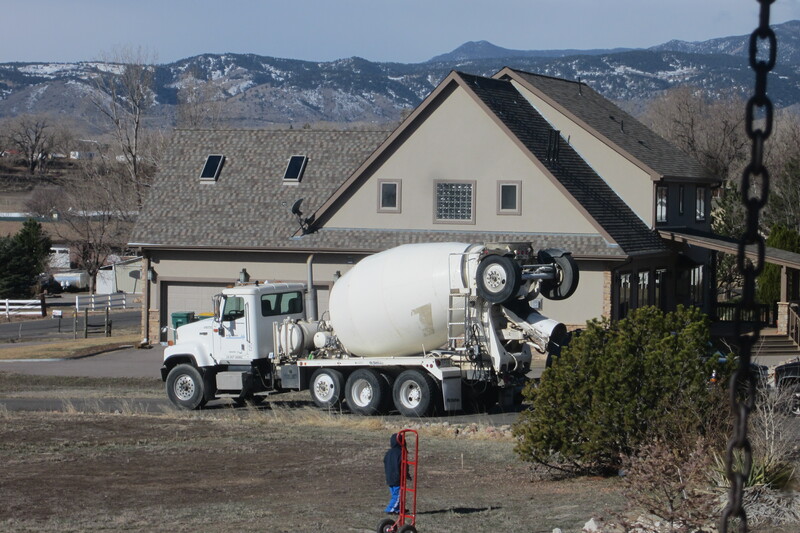 The engineering plan called for a 4500# mix so the redimix company added cement to the typical 4000# pumpable mix resulting in 7.5 sacks of cement per yard. 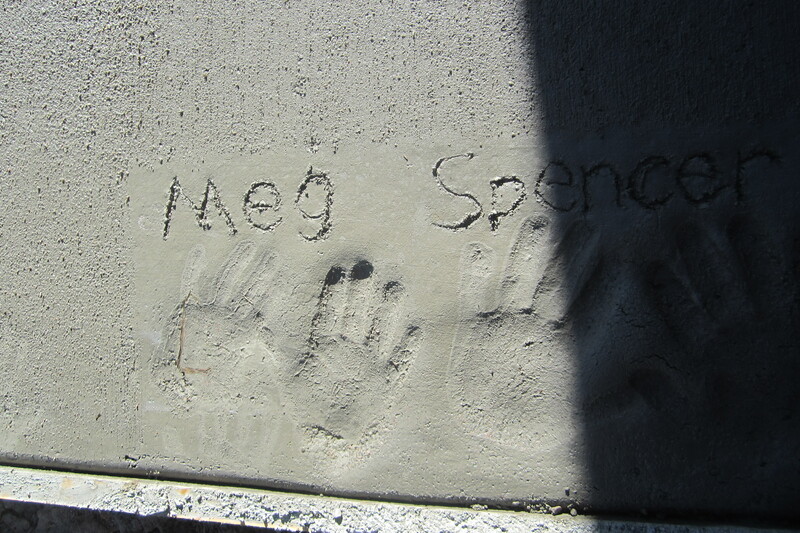 That is a high ratio of cement. 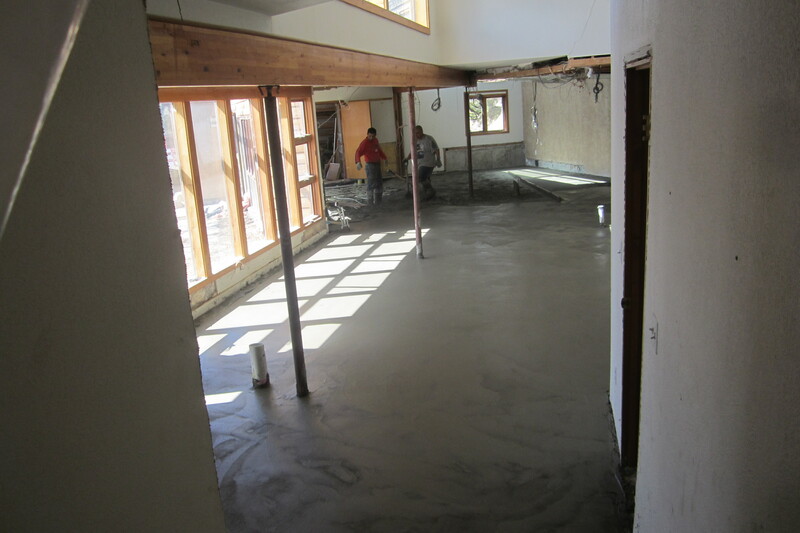 The mix was 15% flyash which is their typical proportion of this recycled material. 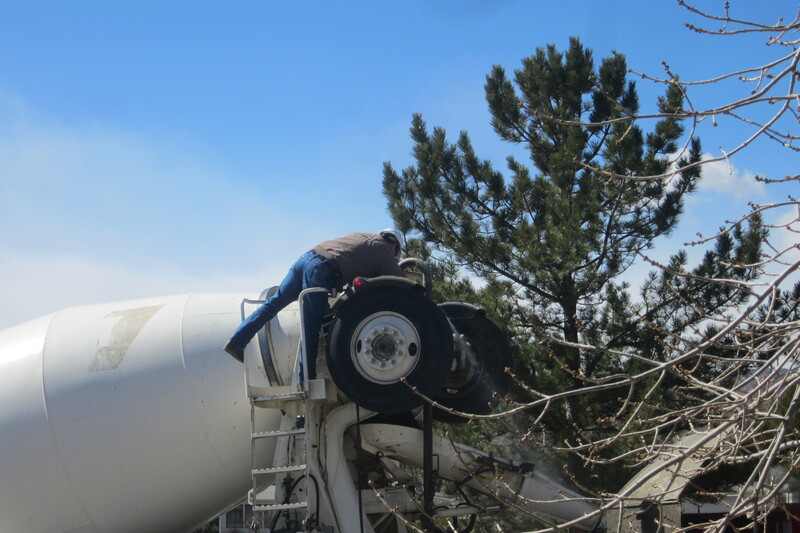 My grandson was fascinated by the cement trucks! 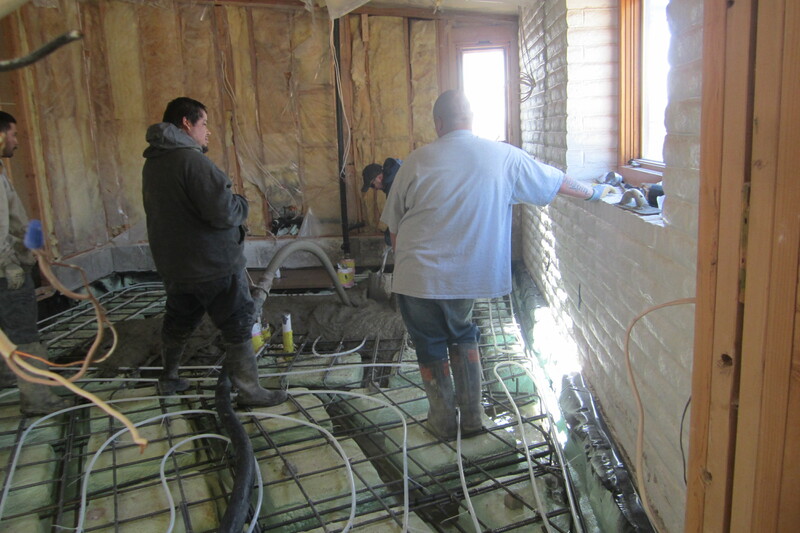 The guys are starting to pump the cement into the far east corner of the house. 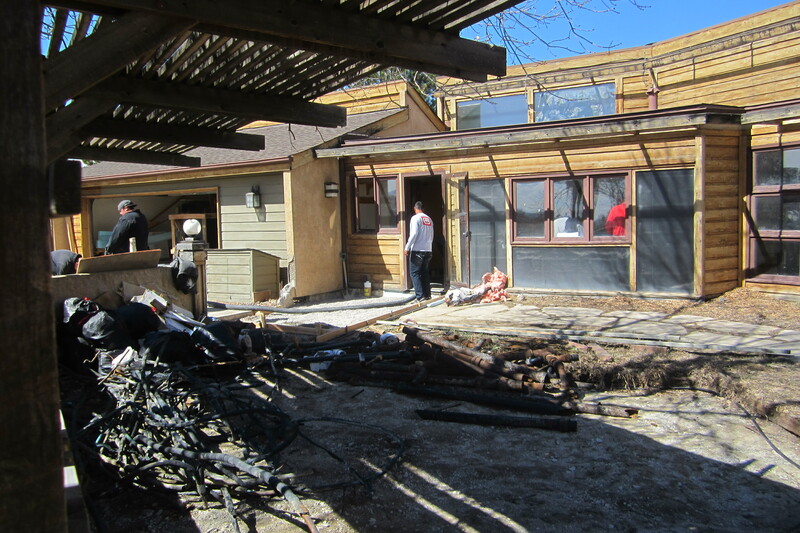 They worked east to west, removing hose as they progressed. Progress after the first load. Progress after the second load. 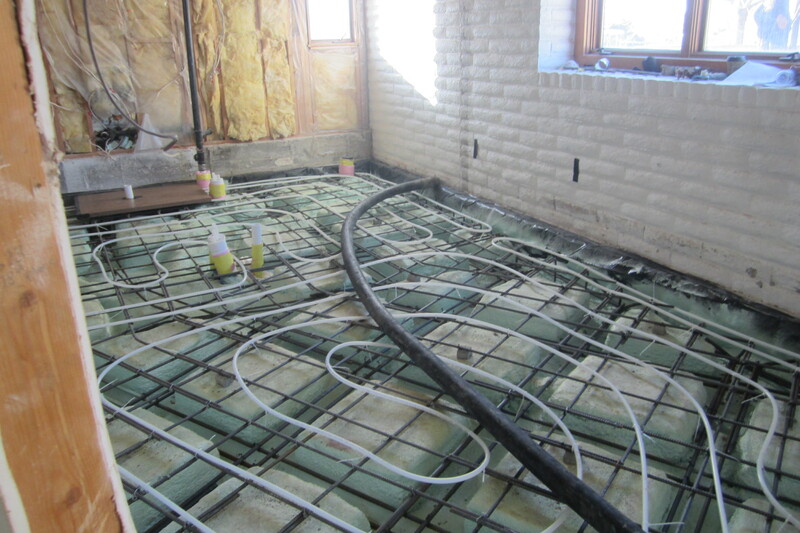 The pump line and the front walk prepared for cement. It took three full trucks and a partial truckload to do the job. We estimated 36 yards and were very close with that estimate. Alberto admiring his crew’s handiwork. 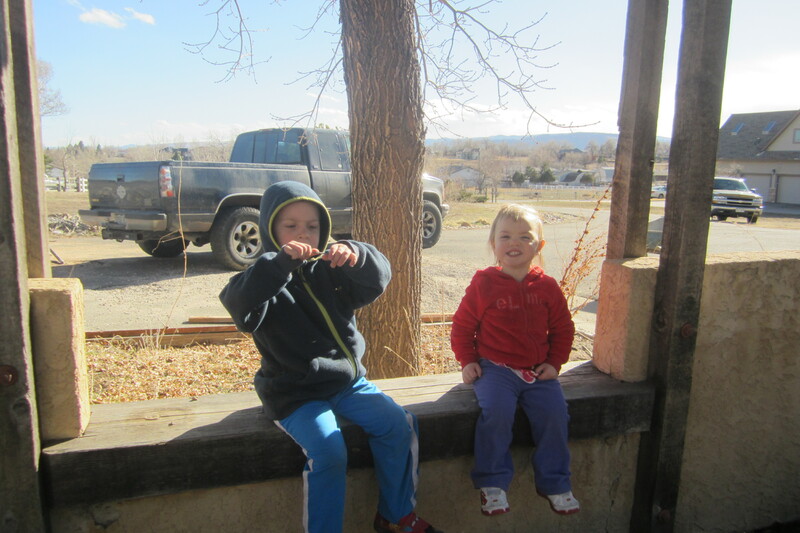 Spencer and Meg watch the clean up. 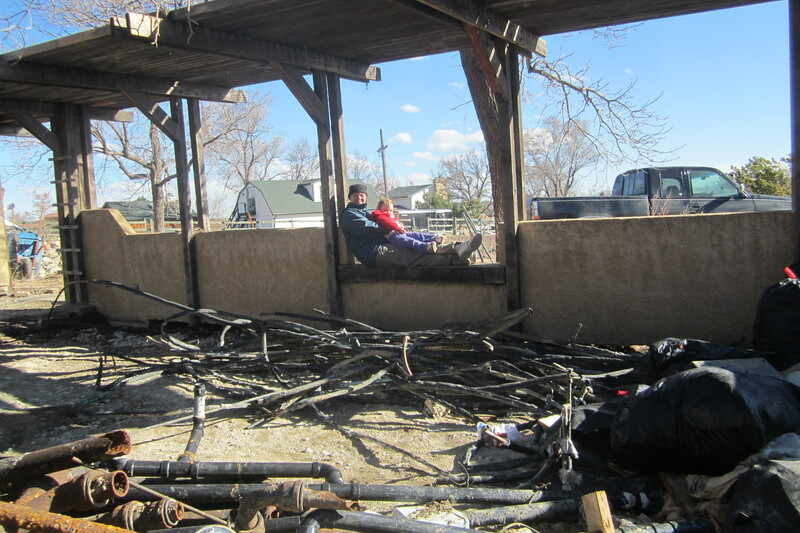 Relaxing before the next job–clearing out the yard!